I have been planning on making fudge for a while, but somehow just never got around to it. At the weekend we were out with friends at a wine fair, there was lots of different wine producers from all over France. To enhance the wine experience, there was also various food producers too, cheese, pate, macaroons, nougat, chocolates, patisserie, you know what I mean. One of our friends was looking out for fudge as on previous visits there was a producer that had fudge, unfortunately this year there was no fudge, so of course I decided that when I got home, I would need to make some fudge. I had a look around the internet and my many many cook books before I decided on my recipe. Of course all of the recipes are so similar I could reference a multitude of recipes, so I will list a few at the end of this recipe and you can decided for your self. I wanted a recipe with sweetened condensed milk, as I had some in the cupboard and all of the other bits, milk, butter, sugar and vanilla. There is a number of recipes that include marshmallow fluff, not something that I see around in any of our food shops, so for the time being those recipes are off the table. 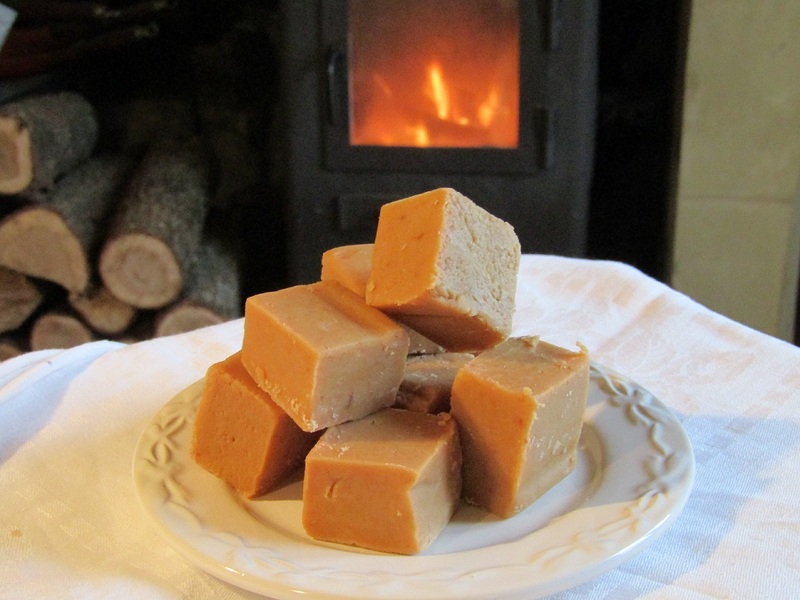 I will come back to them over the next few months, but of course I will have a go at making my own as I do make marshmallows too, so one day….. So lets get to the point of the Vanilla fudge, 5 ingredients, a large pot, a wooden spoon and a candy thermometer, this is beneficial but not strictly essential. Make sure you have a large pot, bigger than you may think, of course you are going to be working with boiling sugar, so you want to make sure it stays in the pot and doesn’t have the opportunity to boil over. Place the sugar, milk, condensed milk and butter into the pot and put it over a low/medium heat until all the sugar and butter is melted. Once they are melted and the mixture is well combined, raise the temperature and bring the mixture to the boil. 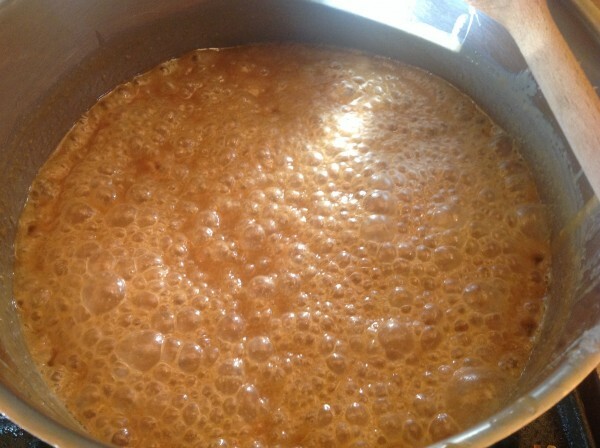 Allow the mixture to boil for 15 – 20 minutes and keep mixing, take care as this is boiling sugar and extremely hot. You can check if the mixture is ready, by using a sugar thermometer or a cup of cold water. I used the sugar thermometer because I have one, but it is not essential, allow the mixture to reach 113-115 degrees C. then remove from the heat and mix in the vanilla essence. 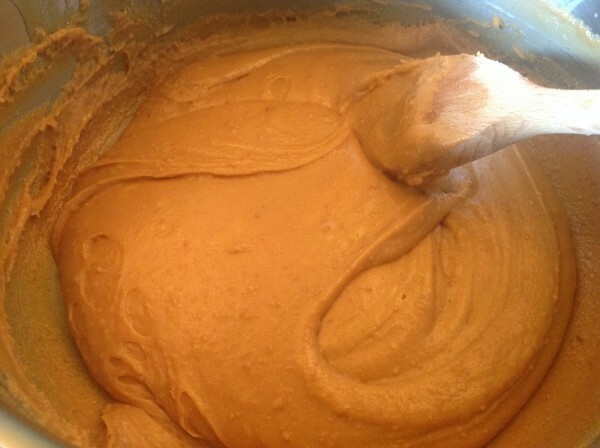 Then beat the mixture until it thickens, again this will take 10-15 minutes, you need to beat it to allow the sugar to cool down and the shine to disappear, this gives your fudge that wonderful creamy, melt in the mouth experience. When your mixture is thick and setting, transfer the mixture into a lined tin, (I used a 16 cm x 25 cm tin) I wanted the fudge to be thick, so we could have nice cubes. Using the back of a metal spoon, smooth the mixture out and into the corners, I also used a piece of buttered grease proof paper on the top, to help smooth out the mixture and achieve an nice even top. (Don’t leave the paper on top, you don’t want to cause condensation. Allow the fudge to cool at room temperature, then lift out using the paper and cut into cubes, I managed to get 30 pieces from this mixture. If you happen to have any to store, then place the fudge in an air tight container and ENJOY. 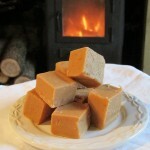 Delicious, creamy vanilla fudge, this is a delight to eat, soft and melt in the mouth. Ideal as a treat and a gift. In a large pot, place all the ingredients and mix well. Place over a low heat, until the butter and sugar have melted. Once the ingredients have melted, turn up the heat to medium/high and allow the mixture to come to the boil. Turn the heat down, making sure you don't scorch the bottom of the mixture. 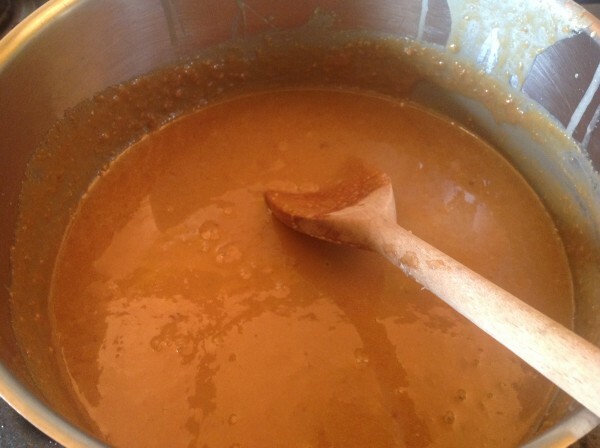 Using a wooden spoon, continue to stir the mixture, making sure it does not stick to the bottom of your pot. Continue cooking until the mixture reaches 113-115 degrees C, known as soft ball stage. If you do not have a sugar thermometer, fill a cup with ice cold water and take a small amount of the mixture and drop it into the cup of water, allow it to cool for 2 minutes then bring it out and test to see if it stays together in a 'soft ball' you should be able to roll it around in your fingers without it dripping off. Once the mixture is ready, Add the vanilla essence and stir through the mixture. Remove the pot from the heat and beat until the mixture thickens. Transfer the mixture into a lined tray (16 x 25 cm) and push down and into the corners. Use the back of a metal spoon for this and a piece of grease proof paper for a nice smooth finish. When the fudge is cooled, remove from the tin and cut into cubes. I got 30 pieces from this recipe. I used a baking tray (16 x 25cm) lined with buttered grease proof paper, it just makes removing it from the pan so much easier. 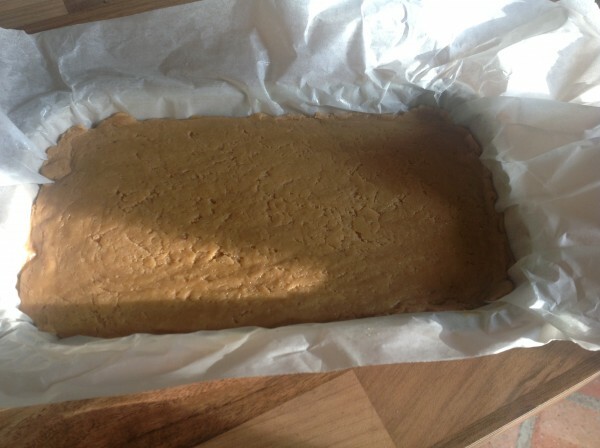 I also used a buttered grease proof paper for smoothing out the top of the mixture, do take care as the fudge is still very hot, but I found this gave a better finish to the top of the fudge.